Here at Eternal Tools we often get asked how to remove scratches from glass and gemstones and here we tell you how to do this, and with what tools you can do this. For scratches on fused, engraved, blown glass, household glass objects, watch glass or jewellery pieces, cabochons and gemstones, here's a couple of options for removing those unwanted marks. CAUTION. We recommend always trying out these options on a rough piece of glass or stone before using any of these options to remove your scratch. They are abrasives and can cause distortion to your material. Diamond paste is an excellent abrasive for removing scratches and our preferred method, and if used well will bring the surface of your material back to it's original state. The depth of the scratch will determine what grade of paste to use. A very deep scratch for instance will require a coarser paste to begin with and then finish off with a finer one. Ideally it is best to have a couple of grades in your workshop so you can begin to remove the scratch with the coarser one; e.g 6 micron; and then fine polish the scratch back to it's original state with a very fine one such as a 3 micron or 1 micron. If you use just one grade of paste, lets say a 1 micron, but your scratch is quite deep it will take much, much longer to work it's magic, but have patience and it will be removed eventually. 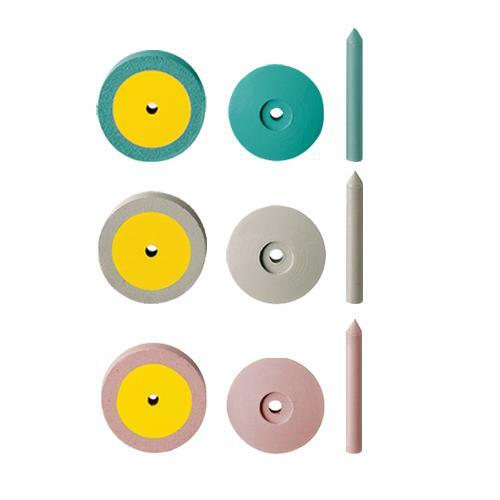 Use your diamond grinding paste on a felt bob (in a rotary tool), wooden peg or a piece of leather or flexible plastic. The latter options might be best to use for the removal of scratches on delicate work such as watch glass, gemstones, cabochons, antique glass or glass engraved pieces. Otherwise a felt bob in a rotary tool wil be sufficient. Our diamond polishing paste is ready to use, no need to mix with any lubricant and it comes in a handy 5g syringe, so nice and easy to apply. Attach a mounted felt bob into your drill (unless you choose to use a piece of leather , plastic or wood - this can be a better option when using the very fine diamond polishing paste (0.25 micron or 1 micron) otherwise it may just absorb into the felt bob. Apply a small dab of paste to your felt bob, wooden peg or piece of leather Using a coarser paste for a deep scratch and a finer paste for hairline scratches. Working through a couple of different grades is often the best way to remove your scratch. Start off with a coarser one and then polish up with a finer grade until the scratch in your material is no longer visible. Start your rotary tool at 1,500 RPM to begin with, then speeding up as you feel necessary. If you choose to use a piece of leather, dab a little of the diamond paste onto the leather and work into the material, again working through the grades as you go until the scratch is no more! This method will require some elbow grease! 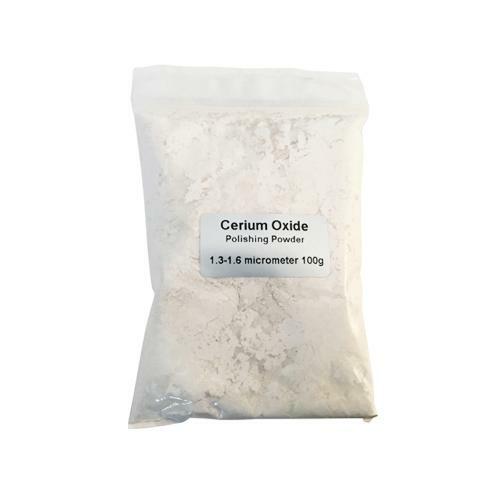 Cerium oxide is a powder that needs to be mixed with warm water to a paste in order to use it. The mineral powder is used for marks, blemishes and bright polishing of glass surfaces so if your scratch or mark can be felt with your fingernail then you will need to use diamond paste instead. If you want a more aggressive paste, mix with only a little water to form a creamy paste. If you are looking to only polish the glass surface, then mix with more water to a thin slurry. These diamond polishers are long lasting and can be used as a 3-step polisher to achieve a superior finish in seconds! Make sure to use our recommended screw mandrel with your wheel and knife edge shaped polishers and the 3mm Pin Mandrel with the Pointed Pin shape. They are specifically designed to be used with these. Other mandrels may cause the polisher to split or fly off when in use. Use at a recommended speed of 7,000-10,000 RPM. The other alternative is to use a rubber silicone polisher on a mandrel fixed into your Dremel or other rotary hand drill. Be aware, these polishers will grind material away and should only be used on very light marks. As we mentioned before, if your scratch or mark can be felt with your fingernail then you will need to use diamond paste instead. Rubber silicone polishers in varying grades - possibly wheel or knife edge shape if you want to polish a large area of scratches. Cylinder and bullet will localise your polishing. A mixed bag of each shape might be a good idea. Attach your silicone polisher to the relevant mandrel and place in your drill. Applying little pressure make sure not to exceed 7,000 - 10,000 RPM. Work your way through the grades i.e begin by using a black polisher (medium grade) for instance then follow that with a blue (fine) and then a pink (extra fine) until you've achieved the finish you desire and the mark in the glass is no longer visible. Helpful note: These EVE silicone polishers are commonly used to polish metals for your jewellery work as well as add depth to glass engraving and polish to cabochons. However, they are also useful for numerous jobs around the home such as removing paint from door handles, hinges and fixtures and fittings. You may have heard that toothpaste is another alternative for removing scratches in glass. However, toothpaste is an incredibly light abrasive and will do no more than fill in the scratch mark, best kept for ones teeth! Lastly, if you're looking to remove a scratch from a plastic watch glass, then Polywatch is the answer.